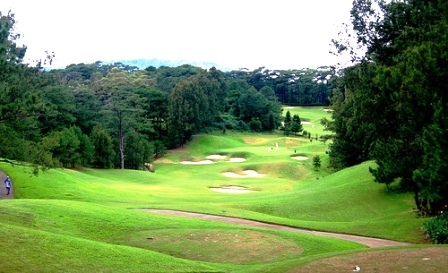 Camp John Hay Golf Course. If the tropical heat of the coastal areas is too much too handle, then head up to Camp John Hay in Baguio City. This century old, year old recreational center situated 5,000 feet above sea level, is regarded by many as one of the premier destination in northern Luzon. With an average temperature in the low twenties, Camp John Hay is the perfect escapade from the sweltering heat of Manila. The retreat was initially constructed by US military forces in 1905. Named after John M. Hay, the Secretary of State in President Theodore Roosevelt’s administration, the camp covers an area of 249 hectares. Nestled within the confines of the retreat is the 18 hole, Par 69 all weather golf course which span 5,001 yards. 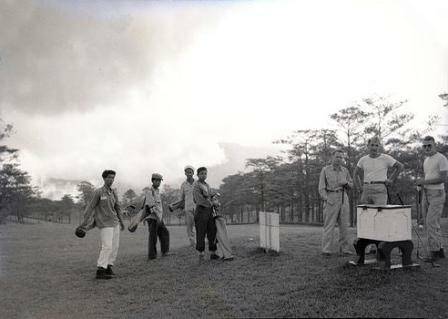 Originally constructed with an 18 hole par 67 layout in the 1920s, during the tenure of Maj.General J. Franklin Bell as Commanding General of the Philippine Department, the Camp John Hay Golf course was rehabilitated in November 1945 after the Japanese converted the fairways into a vegetable garden during the 2nd world war. 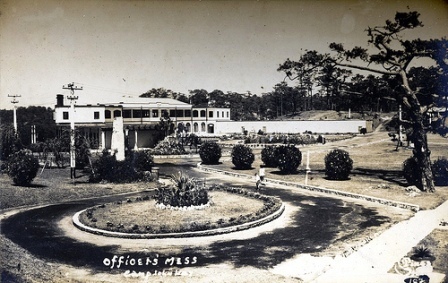 The camp continued to serve as a recreational facility for the US military until it was returned to the Philippines Government in 1991. 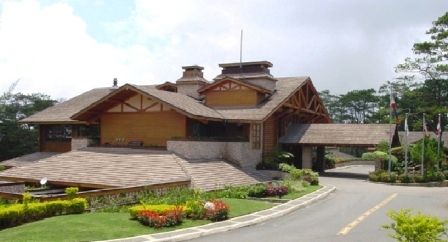 The present Camp John Hay golf course was redesigned by Jack Nicklaus in 1998. Upgrades to the course included adding more bunkers and reshaping the existing ones. The grounds were also capped with sand and recarpeted with Tifway 419 grass on the fairways and Bent grass on the greens. 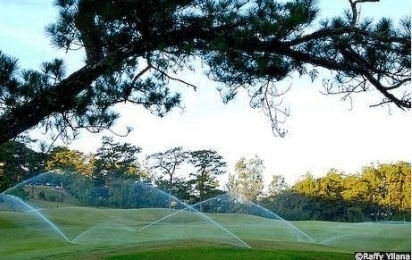 The irrigation system was computerized to ensure that the fairways are watered with the right amount of moisture. Among the scenic pine trees, which fringed the entire length of the fairways, you can be easily deceived that the course is easy. The bunkers are lined up against the greens ever ready to receive those who miscalculated. The main challenge for any golf aficionado will be the pine trees lining the fairways. Water comes into play only at four of the holes, #7, #8, #13 and #16. The 516 yards Par 5 #1 hole was formally the #6 hole of the old course. The approach for this hole remains the same way as it was before. The bunkers are aligned on the right side of the slightly undulating fairway. Make sure you aim your tee shot towards the left of the fairway. The 315 yard Par 4 Hole 7, is a new addition to the new redesigned course. Rated as the most trying hole to play, this hole has a water hazard on the left side of the fairway. There is also a fairway bunker on the right beckoning those misbehaving tee shots! The present clubhouse stood on the site of the former Mile-Hi recreational center and is made from imported Canadian cedar logs. Facilities are nothing short of first rate, making golfing here a pleasurable experience. But meals are a little pricey as compared to the norm in the Philippines, which is to be expected here. How do I get to Camp John Hay in Baguio? There are two ways to get to Camp John Hay. One way is by road through either one of the 3 highways which connects to Baguio. The distance from Manila to Baguio is around 250 kilometers. Travelling time ranges from 5 to 8 hours depending on which highway you are taking. The alternative is to take a 50 minute flight from Manila domestic airport terminal in Pasay to Loakan Airport in Baguio by Asian Spirit Airways. If you feel like a round, have a look here, for some great rates and tee times. Book Tee times at the Camp John Hay Golf Course.